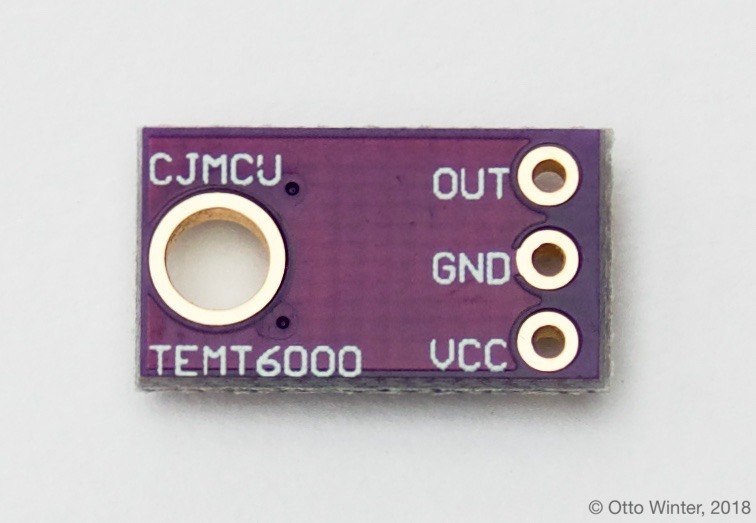 The TEMT6000 is a simple and cheap ambient light sensor. The sensor itself changes its resistance based on how much light hits the sensor. 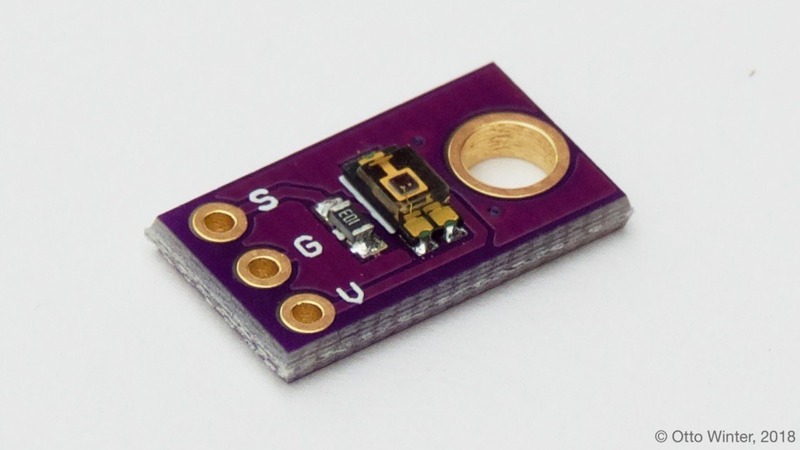 In order for us to read this resistance the breakout boards you can buy these chips on often have a small constant value resistor and three pins: GND, VCC and SIG. Connect VCC to 3.3V, GND to GND and SIG to any available analog pin. To get the illuminance in lux, we first need to convert the measured voltage to the current flowing across the TEMT6000 sensor. This current is also equal to the current flowing across the 10kΩ resistor in the voltage divider circuit, which is I = adc_value/10000kΩ. The datasheet for the TEMT6000 specifies a proportional correlation between current and illuminance: Every 2 µA of current correlates to 1 lx in the illuminance. The default voltage range of the ADC for the ESP8266 and ESP32 are from 0 to 1.0V. So you won’t be able to measure any value above 200 lx using the default setup. For the ESP32, you have the option of setting a Voltage Attenuation (note that the formula doesn’t need to be adjusted if you set an attenuation, as the value x is automatically converted to volts). For the ESP8266, you unfortunately need to tinker with the hardware a bit to decrease the voltage a bit. So one option would be to create another voltage divider on the SIG pin to divide the analog voltage by a constant value.